24 Hour Services in San Diego is what we have to offer. Call 24/7 – 365 days a year for emergency response services. San Diego Flood Services understand that floods and Fires can strike any time and without warning. Restoration of commercial or residential even high rise, Water Removal, Fire Sprinkler System Floods, Sewage Mitigation, Mold Remediation, and Structural Drying services are available. As soon as we receive your call… we dispatch trained personnel to your site within sixty minutes or sooner. 24 hours a day, seven days a week service for any San Diego county flood. Structures usually take 3-4 days to dry, Although, some flooding jobs require more time. Theplumbers must first make sure the water is shut off and repair is complete. Your San Diego Flood insurance policy dictates the terms of your coverage. Although policies differ, in most cases insurance covers the costs to remedy your property damage. Many years of flood experience in making fair and reasonable San Diego Flood appraisals of damaged property are employed, preparing the necessary reports required by insurance companies in order to help settle the claim. Call today for a no obligation assessment and free estimate on what it should take to restore your property to its original condition or better. 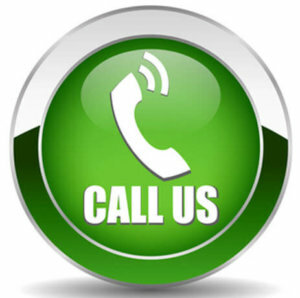 Feel free to call anytime we are always open. 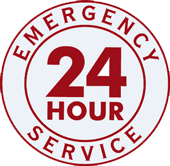 24 Hour Flood Service in San Diego, Ca 24/7 - 365 days a year for emergency response services. San Diego Flood Services understand that floods and Fires can strike any time and without warning. When it does, you need reliable and effective cleanup services and fast. We will dispatch experienced first responders and flood technicians to your location right away – day or night – within 60 Minutes 24/7 – 365 days a year. Immediate on site damage assessment is done and experts accompany you during the restoration process. San Diego Flood Service will send the flood technicians to begin restoration of commercial or residential home, condo, apartment, even high rise, water removal, fire sprinkler system floods, sewage mitigation, mold remediation, and structural drying services are available. As soon as we receive your call… we dispatch trained personnel to your site within sixty minutes or sooner. 24 hours a day, seven days a week service for any San Diego county flood. Structures usually take 3-4 days to dry, Although, some flooding jobs require more time. The plumbers must first make sure the water is shut off and repair is complete.